We've known the day was coming for a while. 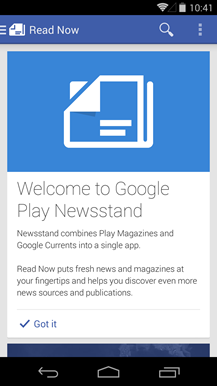 The Currents app has finally hit the end of the road. An update to version 2.3 is rolling out through the Play Store that officially closes up shop and points users in the direction of Google Play Newsstand. 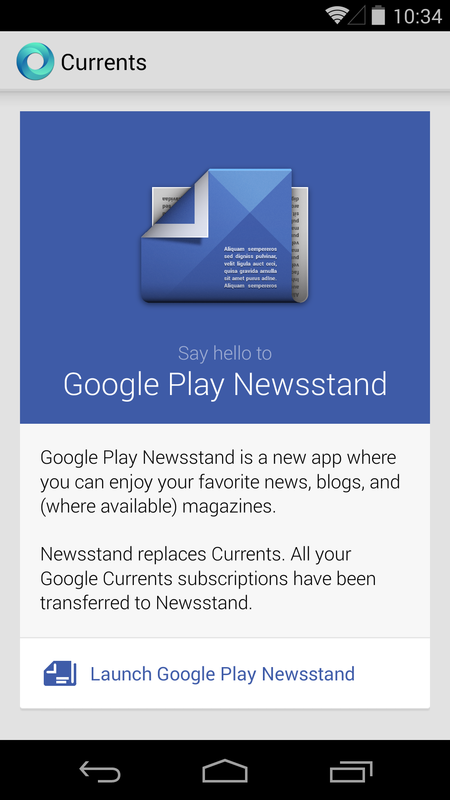 Subscriptions are automatically transferred over to Newsstand and the old Currents app disables itself after users tap through for the first time. The update to 2.3 is a lithe 860 KB, down from the 5.4 MB of the previous version. 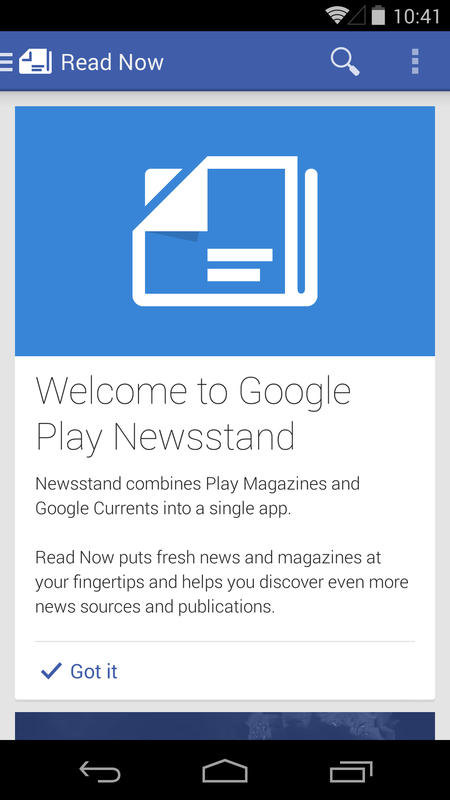 The app only serves one purpose: direct users to download Newsstand (if they don't already have it) and start it up. 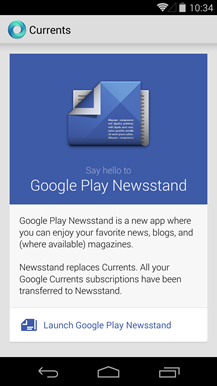 Users that tap through will be met with a welcome message from Newsstand. Once the Currents apps completes its task, the app icon should disappear automatically from the app drawer and most launchers. 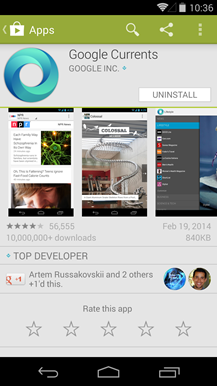 The Play Store page even removes the 'Open' button so that the only remaining option is to uninstall. 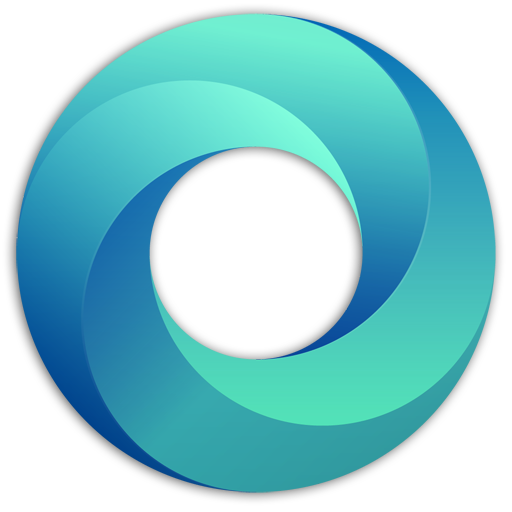 We've dug into the code and found that the Currents app also clears its app storage after starting up Newsstand, so it shouldn't take up much space by itself. 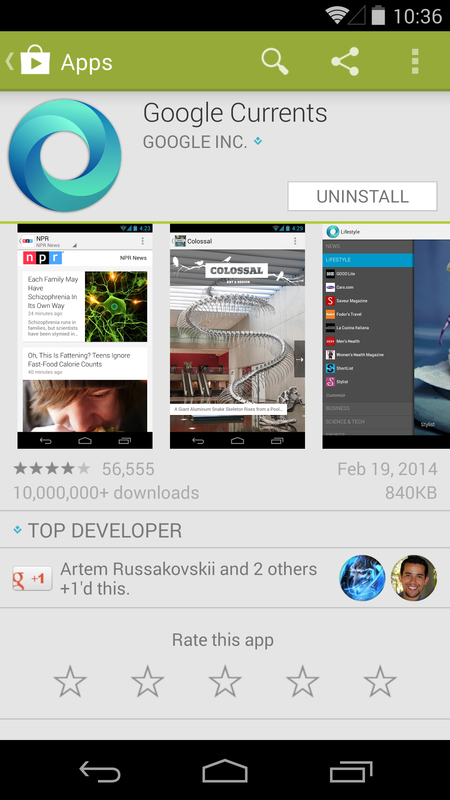 However, there's really no reason to keep it lying around, so it's probably best to just uninstall it. If you're dreading the idea of giving up Currents any sooner than necessary, the old version of the app is still operational, for now. Of course, there's no telling how long that will last. So long, and thanks for all the news.